Oatmeal isn't the most glamorous breakfast, but it's definitely one of the best. It's healthy, filling, delicious, and easy to personalize. And, if you have instant packets, oatmeal is also a very quick and easy breakfast. 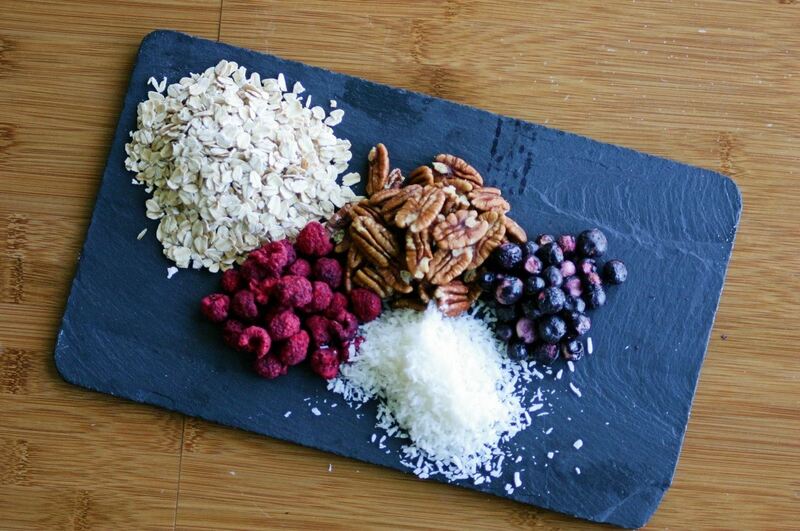 Like so many foods, instant oatmeal is healthier and more delicious when it's homemade. In just a few minutes you can make a variety of different flavored instant oatmeal packets, and you can have easy breakfasts for a month. What Makes Homemade Instant Oatmeal Better? For starters, homemade oatmeal is far healthier. Most commercial packs of instant oatmeal have obscene amounts of sugar in them (as much as 8 teaspoons per serving in some versions), something that you can avoid when you make it yourself. Instant oatmeal is also far more expensive than the individual ingredients required to make it are, so you can save lots of money by making your own. Just how much? Well, YMMV. Mrs. Happy Homemaker estimates that her homemade instant oatmeal packets are about .08 cents vs .35 cents per packet when purchased at Walmart. Meanwhile, The Simple Dollar gauges that you save more when you buy ingredients in bulk and if you eat instant oatmeal regularly. It goes without saying that you'll need oats to make instant oatmeal. Rolled oats or instant oats work just fine. You'll also want powdered milk (more on that later), a dry sugar source, salt, and any flavorings that you want to add. For each bag of instant oatmeal, you'll need ½ cup of oats. For every ½ cup of oats, add two teaspoons of powdered milk, one teaspoon of your preferred type of sugar (plain sugar, brown sugar, maple sugar, etc. ), a pinch of salt, and a few tablespoons of whatever flavorings you choose. 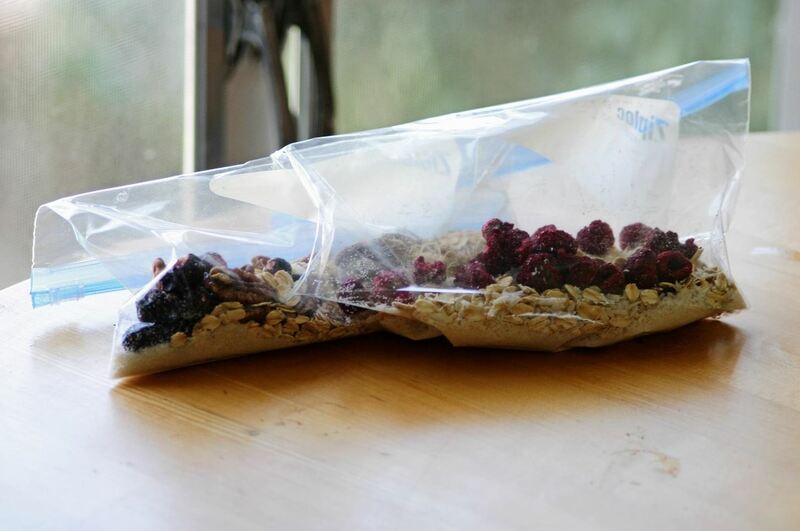 Divide your oatmeal mixture into small ziplock bags, make them airtight (you can use a drinking straw to help this process), and seal them up. They'll last a few months like this, or years if you decide to vacuum seal them. When you're ready to eat your delicious instant oatmeal, just add ¾ cup of boiling water, stir it, and let it sit for a minute. 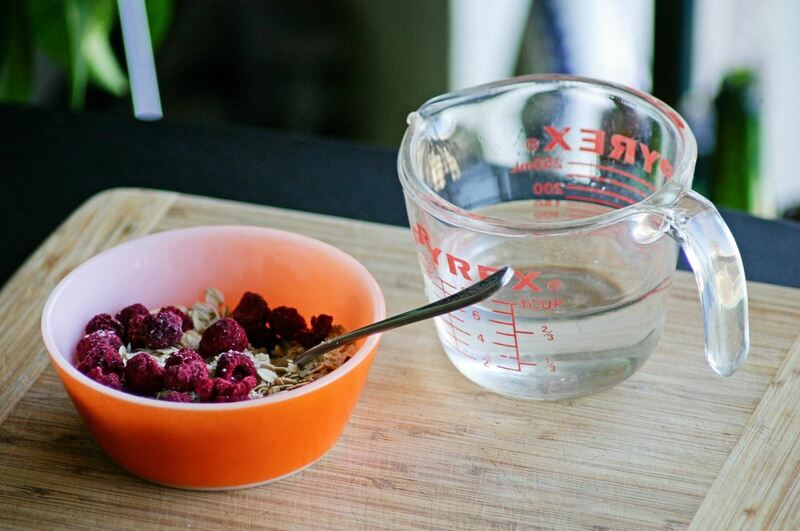 Or, if you prefer, you can add ¾ cup of cold water, and microwave the oatmeal for a minute or a minute and a half. There are a lot of ways to alter your instant oatmeal to suit it perfectly to your liking. If you're not a fan of powdered milk, you can use powdered soy or almond milk, or even dry coffee creamer. You can also avoid the dried milk element altogether, though the creaminess of your instant oatmeal will suffer. If you want a really smooth consistency, toss the oats into a food processor for a few seconds. This will slightly pulverize the oats, and result in a creamier consistency. Got ten minutes? Then you, too, can make quickles (aka quick pickles), ice cream that requires no special equipment, and your very own butter. Speaking of butter, if you like the spreadable stuff, it's time you made your own spread—it's so much cheaper and healthier that way!